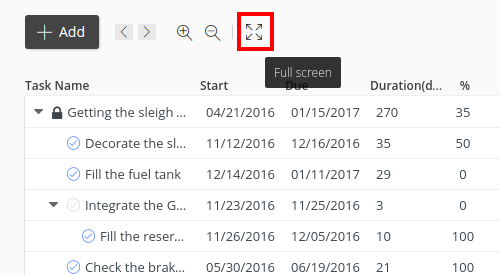 To open gantt in full screen, click on the screen icon present on the left. You can also zoom in and out to change the resolution of gantt chart. 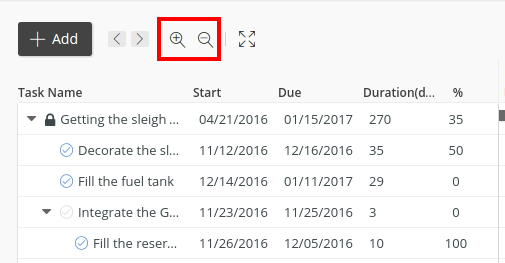 Furthermore you can change the filters to dig in more specifically on the basis of team members. 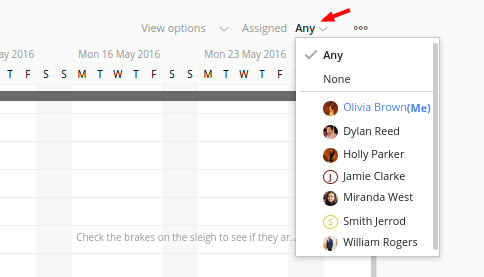 Filtering gantt on the basis of team members also helps in viewing the resource workload and their availability.